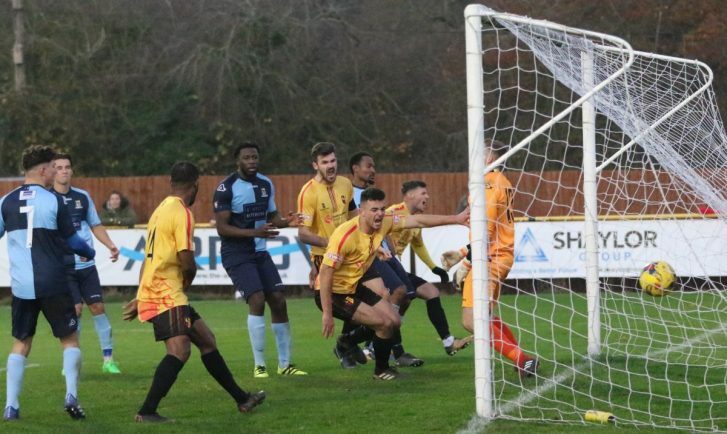 Kyle Morrison rises highest to head home Alvechurch's winner against St Neots. Picture by Steve Evans. Kyle Morrison, right, celebrates his goal with Tom Turton, Andre Landell and Jamie Willets. Picture by Steve Evans. Kieron Cook, right, makes a challenge. Picture by Steve Evans. 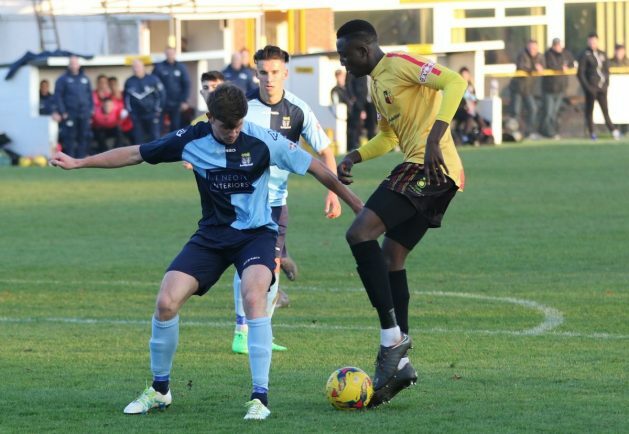 Yusifu Ceesay on the ball. Picture by Steve Evans. Mitch Botfield is halted. Picture by Steve Evans. 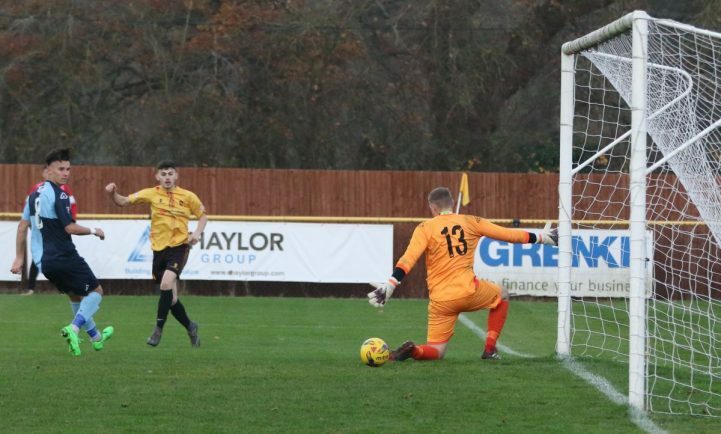 THE exit of three players will prompt Alvechurch to step up a search for reinforcements as they look to remain the surprise package in Southern Premier Central. Church, in their first season at Step Three after back-to-back promotions, moved into the top three after last weekend’s 3-2 victory at home to St Neots. But boss Ian Long and his staff say they will need to add to their squad after the departures of Danny O’Callaghan, Taylor Morrison and Yusifu Ceesay. Midfielder O’Callaghan has moved to Rushall Olympic, utility man Morrison has joined Stratford Town and forward Ceesay has returned to Blackpool after his month’s loan. 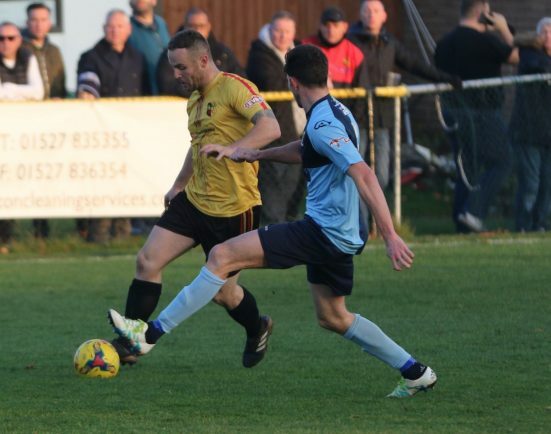 It had seemed O’Callaghan, a summer signing from Sutton Coldfield, would be staying at Lye Meadow but Alvechurch could not match the offer from the Pics. “Danny didn’t think he was getting enough football, but I was disappointed he has left after he had told me he was happy enough to stay,” said Long. 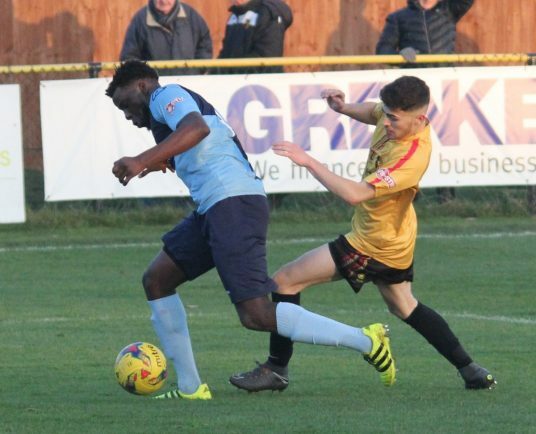 “But, with Ceesay and Morrison going, it means we definitely need to look at a recruitment push, especially with the Christmas period coming up We’ve got a few niggles and hopefully we can find someone like Danny who can cover different options.”Alvechurch had shuffled the side last eek against St Neots, with Kieron Cook getting his chance up front and replacing Josh March. He duly delivered with two smart finishes, meeting an Aaron Lloyd cross with a first-time near post finish on five minutes and then levelling matters with a super take from Zack Foster’s pass and angled finish a minute into the second half. Defender Kyle Morrison then nodded home a Tom Turton corner with an unstoppable header for the winner on 68 minutes. Long says Cook’s emergence, after joining from Wednesfield in the summer of 2017, proves there are gems waiting to be found in the lower leagues, but he also suggests the 18-year-old can rise even higher. He added: “Josh probably needed a break and Kieron has deserved his chance. People forget that Josh is still only 21 and for the past few seasons he has been our ‘star’. We rely on him for his goals and it’s a lot of pressure on him. 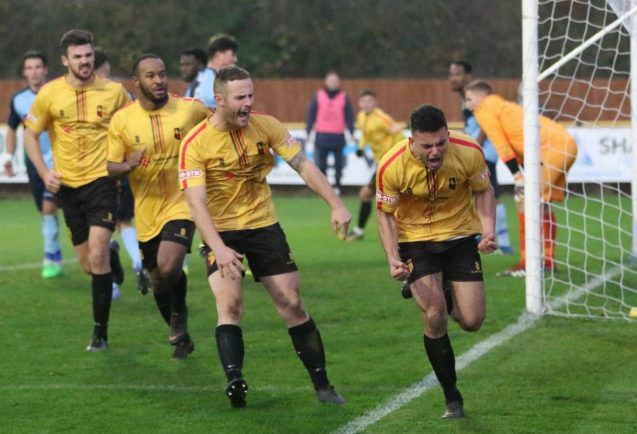 Alvechurch have a free Saturday this weekend and then return to action – for the fifth time this season – against Stratford Town on Tuesday at Lye Meadow. While Church won the sides’ first meeting in the FA Cup, Stratford have progressed in both the League Cup and FA Trophy head-to-heads.